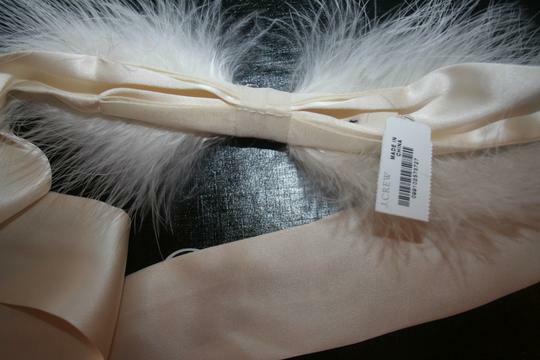 J.CREW FEATHER BOW SASH. 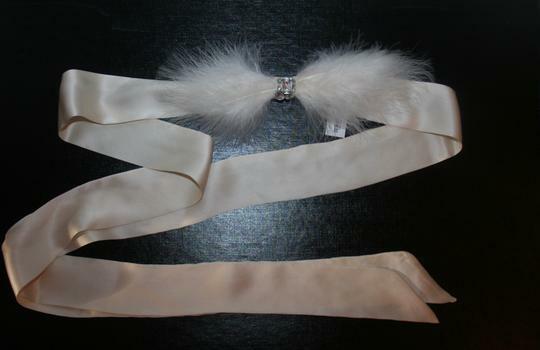 COLOR: IVORY. ITEM # 61792. 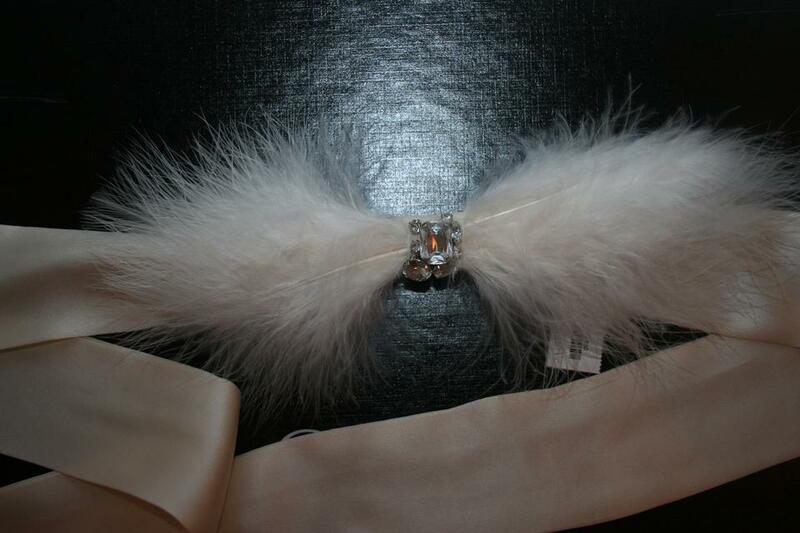 TIE ON A DASH OF GLAMOUR WITH THIS CRYSTAL-STUDDED FEATHER SASH. SILK AND OSTRICH FEATHERS WITH GLASS STONES. 86"L X 2"W.
BRAND NEW WITH TAG IN ORIGINAL PLASTIC BAG. WAS PURCHASED DIRECTLY FROM J.CREW. THERE IS A SMALL MARK THROUGH THE INTERIOR J.CREW LABEL TO PREVENT STORE RETURNS.